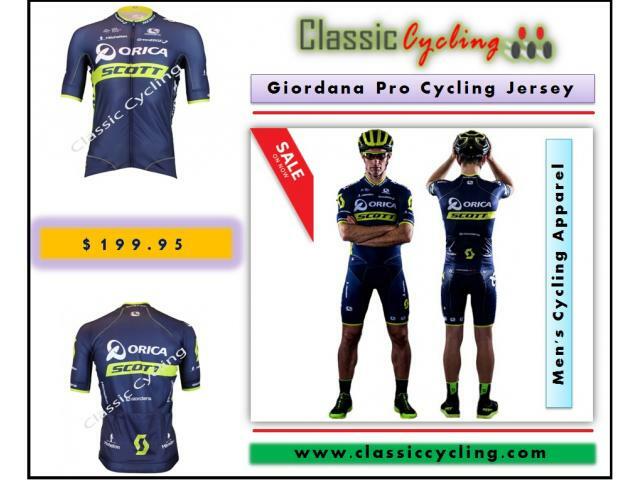 The Giordana Orica-Scott Fr-C Pro Cycling Team Short Sleeve Jersey is constructed with 16 panels of premium level fabrics, which have been specifically designed for Giordana and are strategically utilized throughout the jersey. The four needle flat seams are constructed of eight strong but fine threads and provide dual color contrast accents. All of this combines to create an extremely lightweight, breathable, and race ready jersey.